On Monday, June 26, 2017, the Supreme Court of the United States decided it will hear arguments in October on President Trump’s travel ban and that the current executive order can be enforced against individuals who lack “a credible claim of a bona fide relationship with a person or entity in the United States” while they examine the case. The travel ban, which is sometimes referred to as the Muslim ban, comes from President Trump’s March 6, 2017 Executive Order, “Protecting the Nation from Foreign Terrorist Entry into the United States.” This order was a second, revised version of the January 27, 2017 Executive Order that was blocked by several courts. The second, revised travel ban suspended entry into the United States of all refugees for a period of 120 days, imposed heightened security screening for Iraqi nationals, and blocked entry to the United States for a period of 90 days for individuals from six majority-Muslim countries - Iran, Libya, Somalia, Sudan, Syria, and Yemen. The revised travel ban had also been challenged in several federal courts, preventing the government from implementing parts of the travel ban through nationwide injunctions. In IRAP v. Trump the Maryland federal district court blocked section 2(c), which bars travel to the United States for citizens of the six majority-Muslim countries for a period of 90 days. The Hawaii federal district court in Hawaii v. Trump blocked section 2(c) and section 6, which suspended the refugee resettlement program for a period of 120 days and lowered the maximum number of refugees allowed to be admitted from 110,000 to 50,000 per year. After the federal government appealed these cases, the U.S. Court of Appeals for the Fourth and Ninth Circuits both affirmed the injunctions issued by the Hawaii and Maryland district courts. The federal government then requested that the U.S. Supreme Court stay the injunctions to allow the revised travel ban to go fully into effect. The federal government also filed a petition for certiorari with the Supreme Court to hear one or both of the Hawaii and Maryland cases to determine if the revised travel ban was a lawful exercise of President Trump’s executive authority. On June 26, 2017, the Supreme Court granted certiorari in both the Hawaii and Maryland cases and also granted a partial stay of the injunctions. 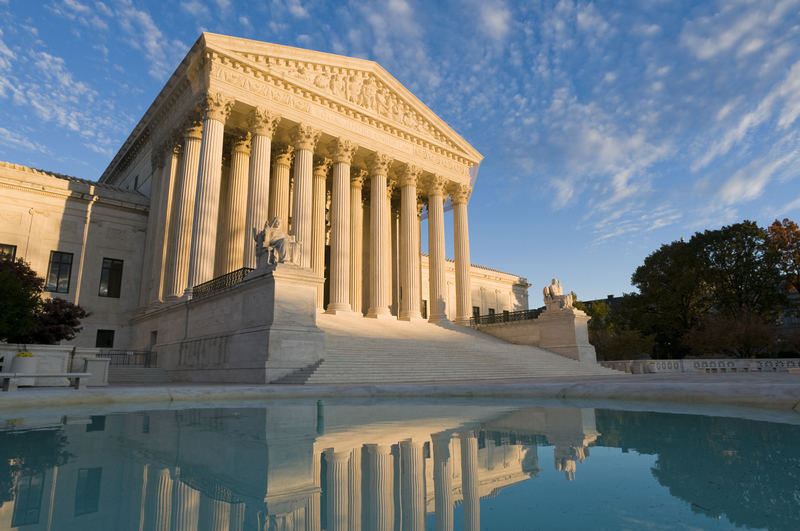 By granting certiorari, the Supreme Court decided it will hear arguments on the federal district court decisions blocking the travel ban in October 2017. The Supreme Court’s decision to grant a partial stay of the injunctions means that the revised travel ban is reinstated for those who cannot show a “credible claim to a bona fide relationship with a person or entity in the United States.” Individuals who cannot demonstrate a bona fide relationship will not be allowed to enter the U.S. unless granted a waiver for their entry. * Individuals who have close familial relationships in the United States. For example, someone who wishes to enter the United States to live or visit with a family member. * Individuals who have a “formal, documented” relationship with a U.S. entity (a person, partnership, organization, or business) that was “formed in the ordinary course,” such as students admitted to a U.S. university, workers who have accepted an offer of employment from a U.S. company, or lecturers invited to speak in the U.S. The Supreme Court emphasized that a “bona fide relationship” cannot be satisfied if the individual’s only relationship with the United States is one that was formed “for the purpose of evading” the revised travel ban. Waivers will be decided on a case-by-case basis for those who can demonstrate that denying entry during the 90- or 120-day travel ban period would cause undue hardship, entry would not pose a threat to national security, and entry would be in the national interest, or other compelling reasons. The Supreme Court explained that refugees will be subject to the same “bona fide relationship” test. Additionally, the Supreme Court decided that the limit of 50,000 refugee admission could be exceeded so long as each refugee meets the “bona fide relationship” standard. United States citizens, Lawful Permanent Residents, and dual nationals traveling on passports not issued by one of the six banned countries are not included in the revised travel ban and should not be affected by the Supreme Court decision. All nationals of Iran, Libya, Somalia, Sudan, Syria, and Yemen should consult with an immigration attorney before traveling to the United States.